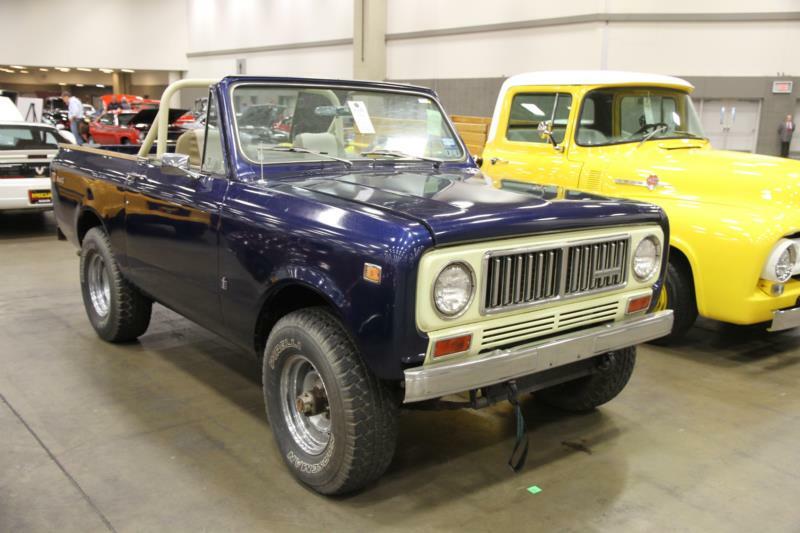 After the original International Scout proved that four-wheel-drive vehicles are as fashionable on the boulevard as the barnyard, IH totally redesigned their little truck for 1971 to become bigger and potentially more powerful. Introduced early in the year, the Scout II shared design cues and some components with International’s line of pickup trucks. The larger Scout II was now more of a competitor to Jeep’s Wagoneer and Cherokee rather than the CJ-5. The Scout II’s entry level powertrain was the same as its predecessor—the 152-cid slant-four. With the model’s scaled-up size, however, there was now room for optional V-8s up to 345 cid. The Scout II also continued to offer two major types of roofs: a pickup top and a wagon-like TravelTop, which continued to be the preferred choice among buyers. Most model year changes were minor until 1976, at which point the Scout II’s line was expanded to offset lost market share due to the demise of International’s Light Line trucks. A longer wheelbase Scout was offered as either the Terra pickup or the Traveler wagon. In 1977, in an attempt to market the Scout closer to the Jeep CJ-5, IH introduced the SS-II. In this first year, it was a very bare bones package—actually more of a stripper Scout. Most notably, it was equipped with Jeep CJ-5 like cut-outs rather than doors. For 1978, the SS-II was equipped more as a serious off-roader, with larger tires, a rollbar, and graphics. The SS-II continued into 1979. Besides being an important development in what has come to be seen as the emerging SUV market, the Scout was also one a pioneer in the light duty Diesel truck market. Beginning in 1976, a Nissan-built six-cylinder Diesel engine was optional with any transmission, in either two-wheel or four-wheel drive. Some will argue that the Scout’s final year of 1980 was its best. Not only did International back it with one of the best warranties in the industry, but the Diesel was now turbocharged. However, IHC was in the midst of several management and labor problems. Corporate powers more keen on medium and heavy duty trucks, and International elected to shut down Scout II production in October 1980. Today, however, the model is fondly remembered and highly sought after by collectors.